All hail the cement capital of Taiwan. You think we’re joking but without the country’s biggest limestone producer, there would be no Taroko Gorge – the marvellous (or should we say marbellous) marble canyons that Taiwan proudly deems as one of its most favored tourism sweethearts. 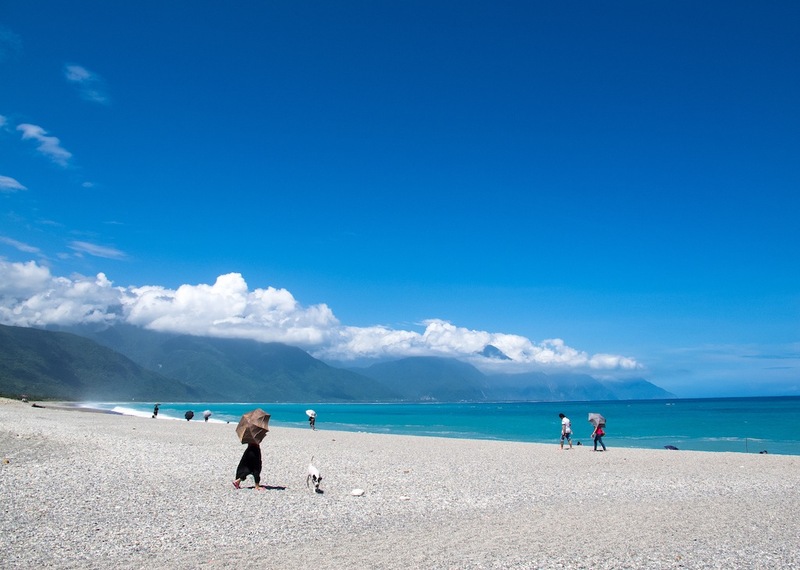 Despite the county’s rampant tourism industry, its mountainous regions –making up for almost 87 percent of the entire county– and its apt locale next to the Pacific Ocean, make Hualien the closest one might get to an untainted eco wonderland in Taiwan. Be it an Into-The-Wild-style spiritual escape or a wind-in-your-hair, Route-66-esque coastal joyride, make Hualien the backdrop to your travel narrative this summer. For your first stop in rock capital, look no further than Chisingtan. Made up exclusively of pebbles, Chisingtan may not be the best spot for your usual sand activities of say, sun tanning or castle-building. It is, however, the go-to for a more subdued and enlightened sea experience like no other. And for those allergic to generic beach-swimming activities, opt for kayaking here. Fun fact: Chisingtan was recently voted by the Taiwanese public as the most romantic beach in Taiwan just very recently. 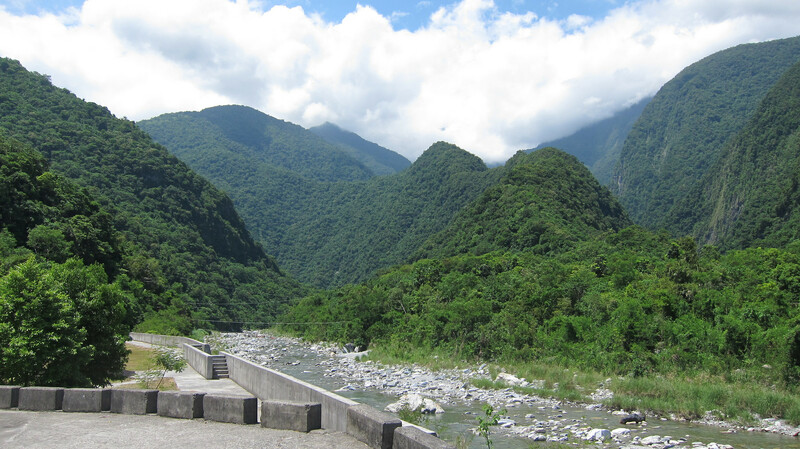 Inhabited by mostly indigenous Taiwanese, the small village of Sanjhan (Sanzhan) sits at the base of Taroko Gorge and is served by rivers Sanzhan North and South. Here, at the entrance, where the two rivers meet, you’ll find locals in wifebeaters dipping their feet into the creek. For adventurists at heart, however, the real gem lies further into the valley, where the best kept secrets are harboured deep within the crevices. River tracing (the intense physical combination of both trekking and swimming) along the Sanjhan river and atop some difficult boulders will eventually get you to this infamous grotto. With crystal blue cavern pools and almost kaleidoscopic rock formations, the pay-off to the gruelling trip in is an experience so visceral and surreal, you’d think you were in a Miyazaki movie. Where Sanjhan creek excels in locals hustling and vibes a’bustling, Miyawan entices with serene, contemplative ambience. With clear waters and flatter, smoother (albeit small) shores, the creek makes for a good secret swimming hole and tanning spot when the weather permits. 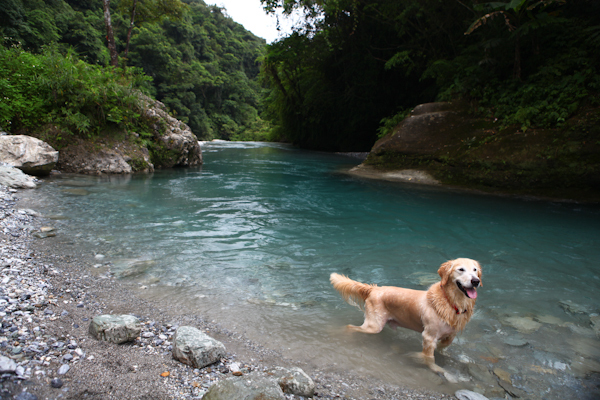 Its smoother and easier-to-navigate terrain has also made Miyawan a popular location for every man and his dog – literally; local tourists accompanied by their furry pals are often found here doggy-paddling and playing catch. Travel hotspots can sometimes be disillusioning when overwhelmed with an onslaught of badly-behaved tourists. We don’t blame you for taking on a disdain over ruined paradises, as Alex Garland so famously preached via The Beach. 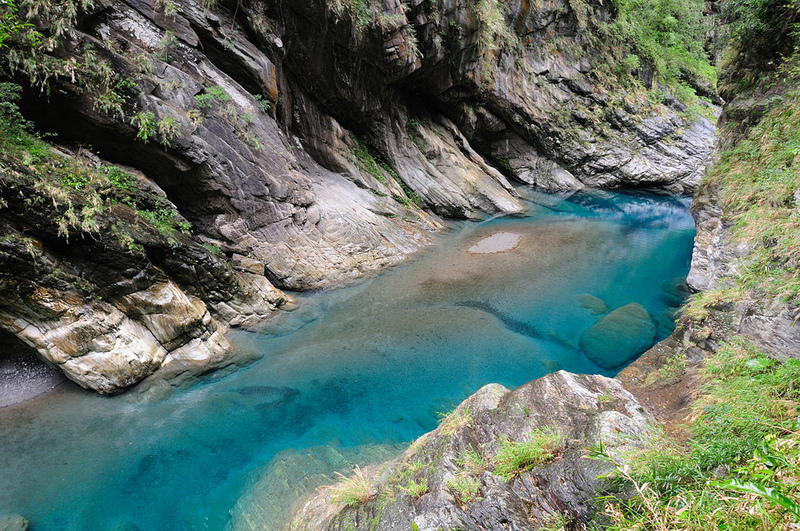 The coolest thing about the ecological paradise of Hualien and all of its hidden promises is that a place like Mugumuyu, a river gorge smaller and more uninhabited than its famous sister Taroko, is a) inaccessible by public transport, b) a national and locally protected area, and c) limited to only 600 visitors per day. Makes sense that obtaining a daily permit is a must to see a beauty this raw and unforgiving. If every old space in Taipei was turning into a creative park, then it’s not exactly illogical for other cities to have followed suit with equally wondrous spaces to showcase. 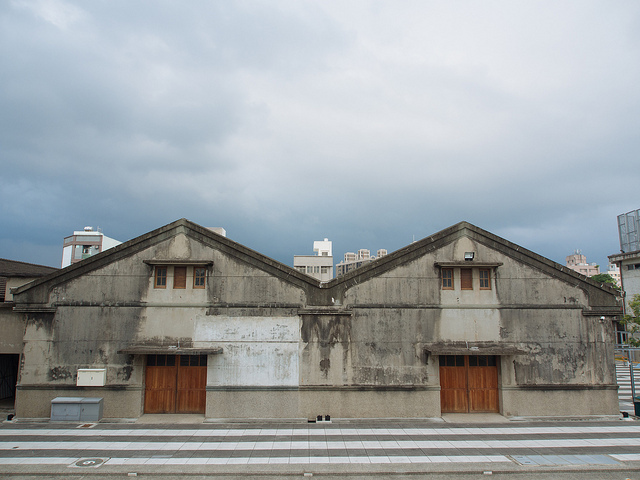 Here in Hualien City, we have an old Japanese wine factory converted into a cultural showground not dissimilar to its Taipei brethrens – with derelict huts and warehouses now housing exhibition spaces and cafes. For those needing a bit of a break in their explorations into the wild, Hualian Creative Park is your urban home away from home. Historical fetishists can marvel at historical remnants of its colonial Japanese past echoed throughout the space, but you’d be forgiven if you simply want to buy cute, artsy knick knacks. When in Hualien, do as the locals do – and forget the grandeur of international dumpling houses like Din Tai Fung. 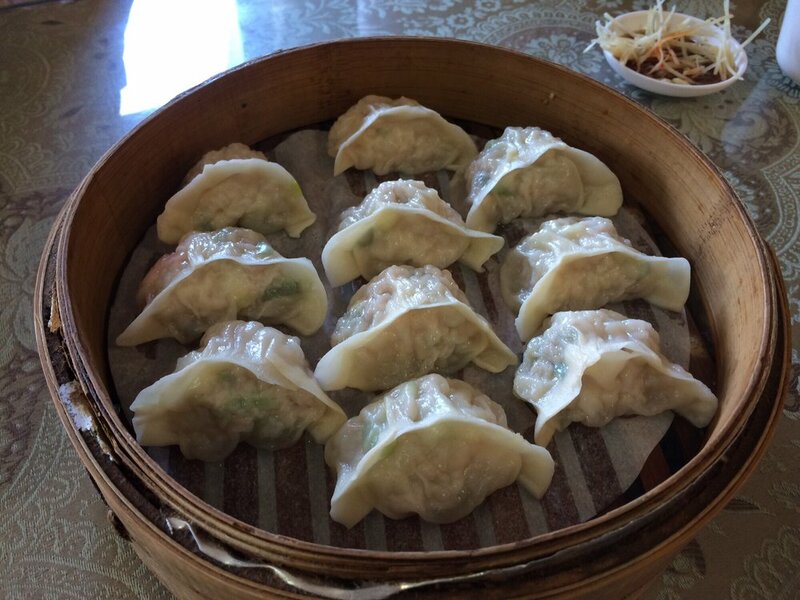 This longstanding small dumpling house has both the history and the classic favourites to match the aforementioned – xiaolongbao, spring onion pancakes, et al. – except with a much more local and independent flair. While the owners may insist on the tradition for flavor and process (handmade, of course! ), the restaurant also emphasizes a contemporary health-conscious ethos, with a preference for less salt and oil, and low sugar and fat. Wholesome and then some. 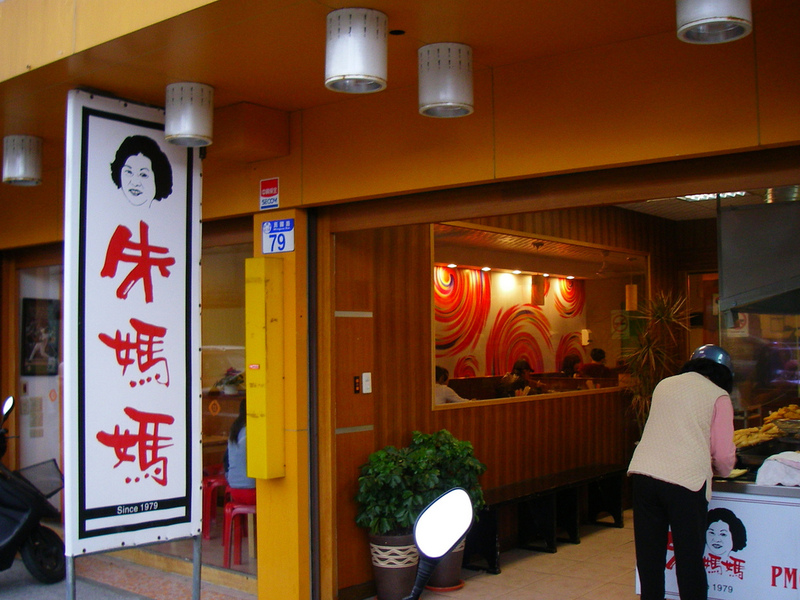 A must-eat amongst Hualien locals, the dessert house has been operating since ’99, priding themselves on its customer return rate (the owner swears by the saying, ‘Eat here once, and you’ll eat here again!’). 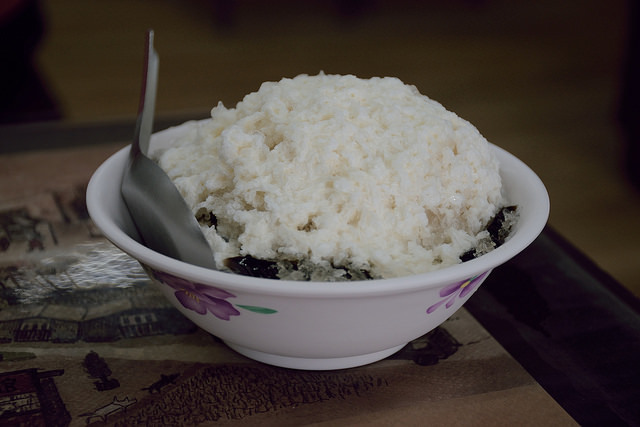 While Cai-ji offers your standard humdrum Taiwanese dessert classics aiyu, sweet beancurd and herbal jelly, you might want to one-up yourself and go for their cooler variations – Cai-ji’s crème de la crème, the sweet beancurd with pearl barley, or herbal jelly with fresh milk and shaved ice. Expect fresh and handmade ingredients, and plenty of that rural Hualien countryside charm. Whether it’s that you literally cannot wait until the street eatery fiesta of Hualien Night Market, or that you’d rather avoid the tourist queues, this local joint will satiate both afternoon hunger pangs and cravings for traditional Taiwanese ‘small eats’. Where Chu Mama’s lacks in variety, it makes up for in homely simplicity. Dishing up night market favorites like stinky tofu, sticky rice sausage and fried sweet potato, Chu Mama’s is as close as you’ll get to an authentic Taiwanese afternoon tea. With fried selections taking up most of the spot on this small menu, it’s the perfect place to really grease up.